Christmas has never been this cute! 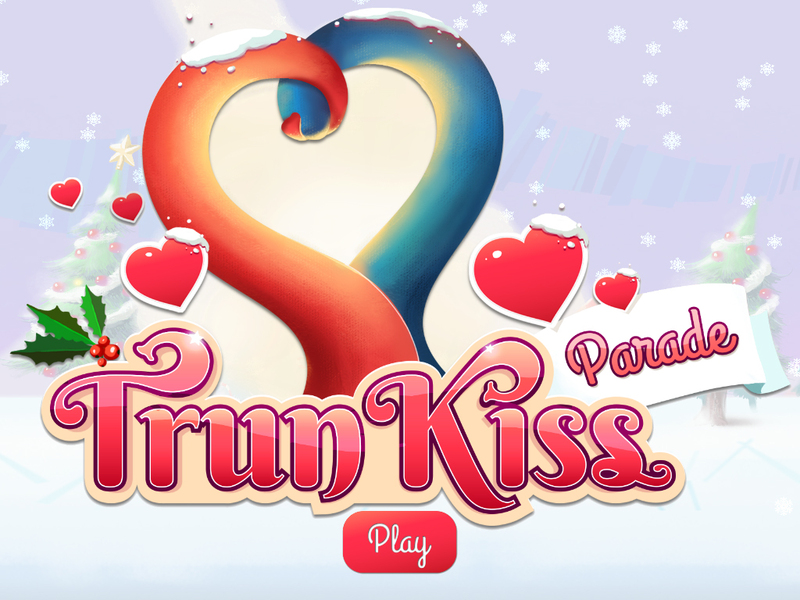 While playing TrunKiss, get ready to help Ellie – a lovely elephant – to get some kisses and spread love all around. By matching trunks while running freely you help Ellie to share what this season is all about: LOVE and JOY! Every time Ellie gives a kiss, she turns the other elephants colorful and makes the world a better place. 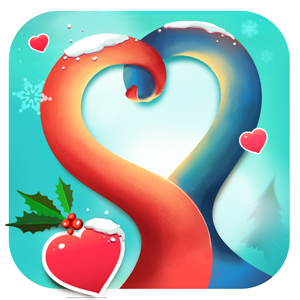 This is an amazingly beautiful and simple game, made to inspire people to share affection and use it to change the world around them. 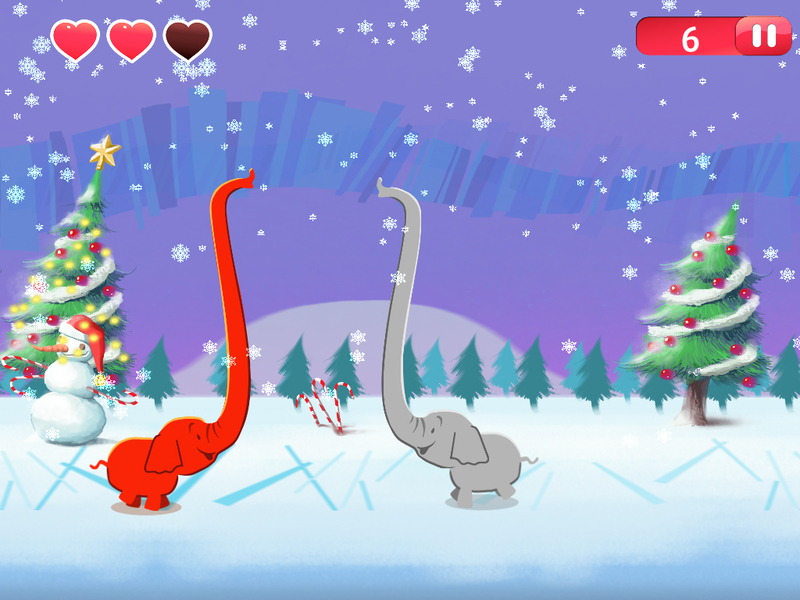 Simply hold your finger on the screen to help Ellie grow her trunk and, by releasing it, the trunk will shrink. Look around for Hot Cocoa! This delicious hot beverage will make other elephant’s trunk to match Ellie’s trunk size. It’s much easier to kiss this way! You can also find some bandaged heart balloons sometimes. 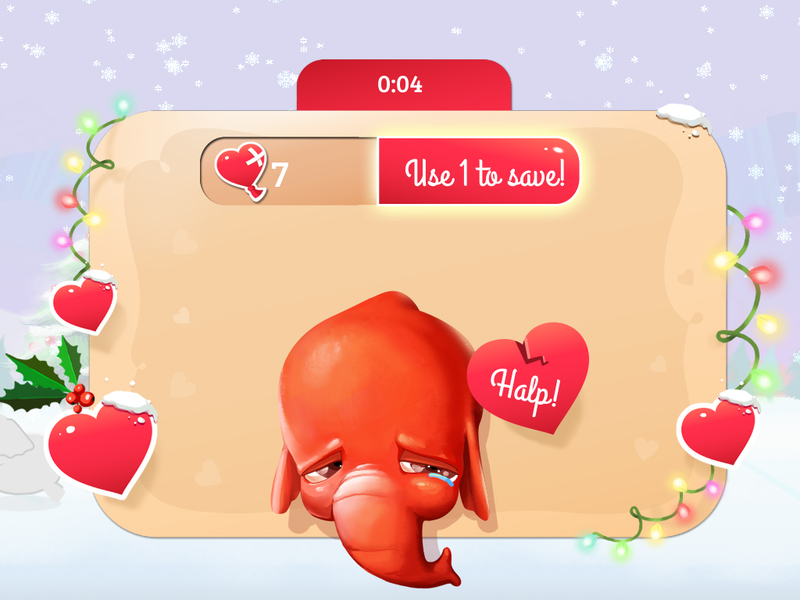 This is designed to help you keep on your kissing spree, even after you lost all your hearts. You don’t want to see Ellie sad, do you? Also, every time you complete 25 kisses in a row, you full up a heart! 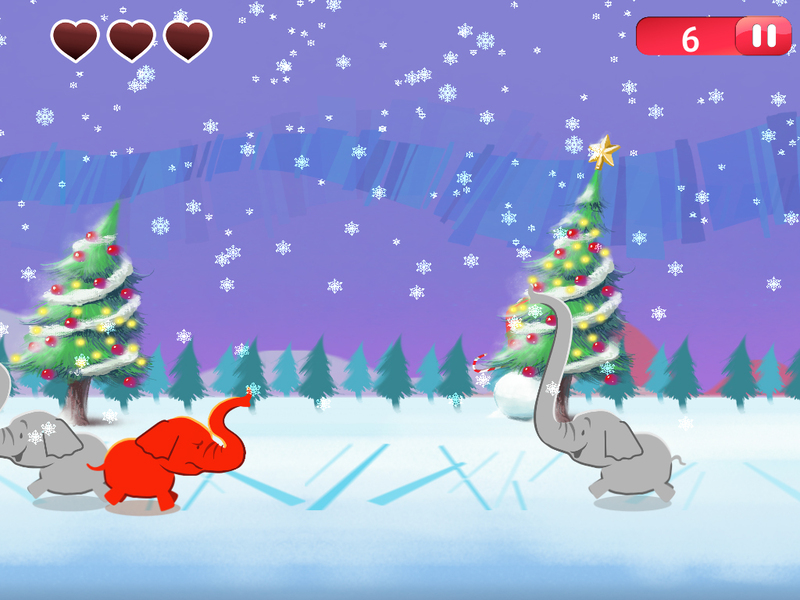 Match trunks while running through a lovely scenario, share love and score points! * Endless scenario with increasing challenge.